'Zero-Touch' GPS Time Clocking, Field Job Status Updates, Payroll Integration including QuickBooks, Activity Alerts, Custom Reports. 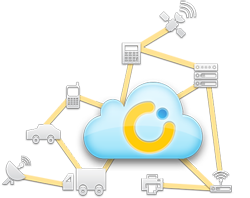 On-demand load tracking solution for 3PL, Brokers, 3rd Party Drivers, and Owner Operators. Requires No Apps. No Special Devices. Works on all Phones. Fine-grained Privacy controls for Drivers. Scheduling, Real-time Tracking, Mobile Time-clocking, Job Status Updates, Compliance Reports, Geofencing, Enterprise Messaging, Analytics and more. Mobile Asset Management (MAM) and Mobile Resource Management (MRM) are crucial to the daily operations and success of the trucking and logistics industry. Similarly, personal informatics are fast becoming an integral part of the consumer's daily life. Abaqus provides an in-depth analysis of your operations and how our geo-aware myGeoTracking™ can be used most effectively to track your personnel and mobile assets and streamline your operations for increased profitability and customer satisfaction. It's more vital than ever for companies to develop and deploy an effective web and mobile strategy in their business model. Whether your strategy involves consumer-facing mobile applications or proprietary internal applications that enable your systems to function seamlessly, Abaqus' team of trained web and mobile app specialists can make your vision a reality. Stand on the shoulders of our specialists who have designed, developed, and launched multiple applications for the web and every major mobile platform including iPhone and iPad, Blackberry, Windows Mobile, and Android. These specialists can lend their expertise to define a comprehensive web and mobile strategy encompassing the design, development, launch and ongoing support of your solutions. Are you an ISV? thinking to add location component to you offerings? You are in the right place! Now you can easily integrate your software with myGeoTracking location platform with our Web Based API to make your solution location & messaging intelligent. Help your customers comply with USPS requirements!! myGeoTracking is fully compliant with USPS, thus by partnering with us you can pass the benefit to your logistics and trucking customer (if that's what you are looking for). 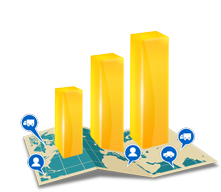 • Easily integrate your solution with myGeoTracking platform and add location component to your offerings. • Differentiate your product from your competition and stand out. 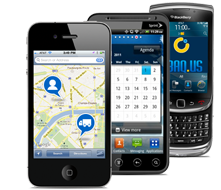 • Provide an extended solution to your clients by giving them location information on demand. Copyright © 2013-2019 PayPal. All rights reserved.